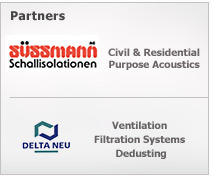 Thanks to the exclusive licence to market Süssmann AG products, Sira is proud to introduce the most complete system for soundproofing interventions, expressely designed for civil, residential, architectural environments. 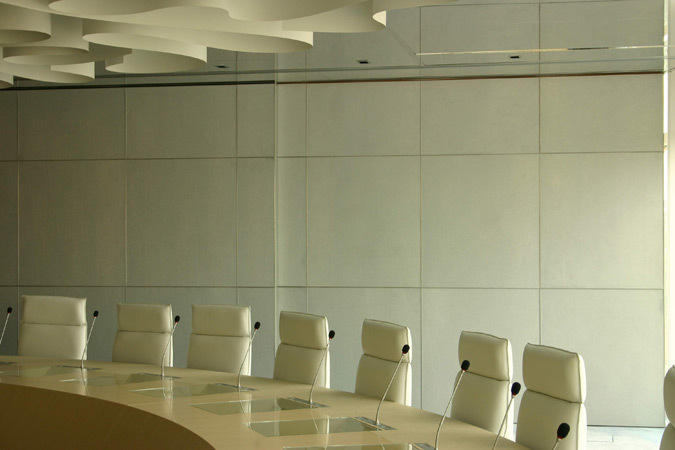 ECOPHONE SIANG™ is the outlined panelling series designed for noise damping. 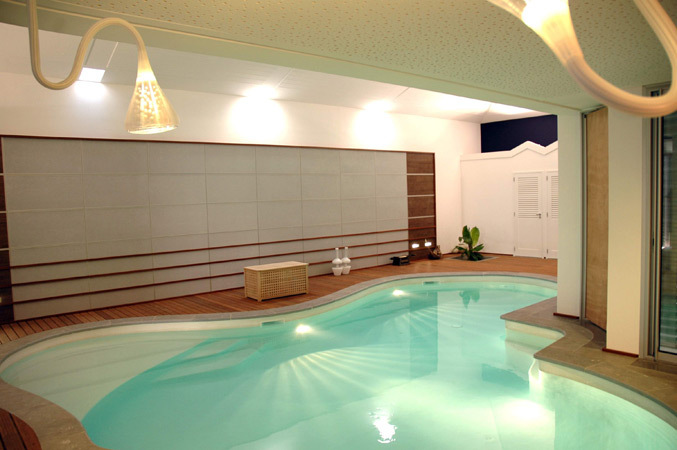 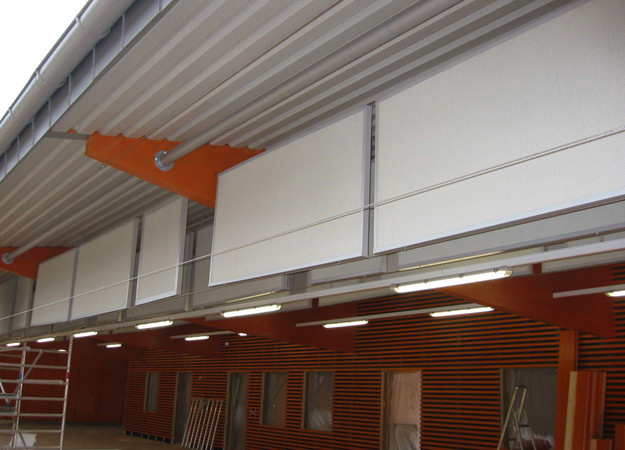 Panels are composed by mineral wool layers and glass fiber tissue covering. 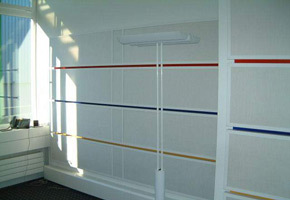 Covering, available in wide range of colours, can be easily cleaned by a moist sponge. 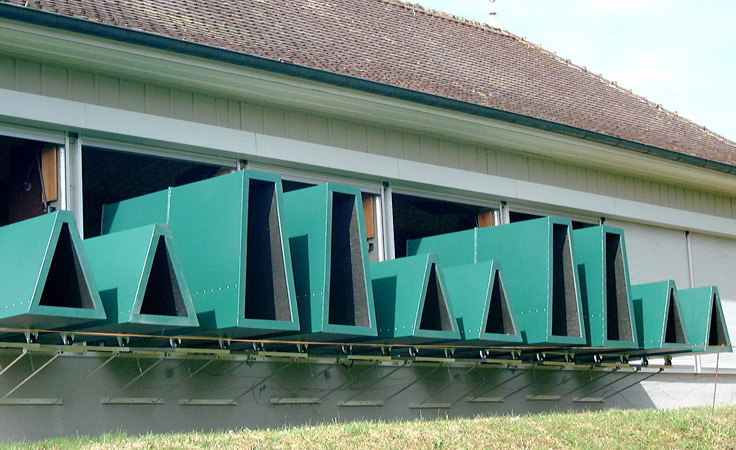 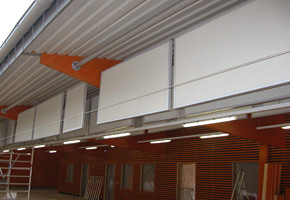 Panels feature a large variety of thickness and density rates, according to required noise damping level. 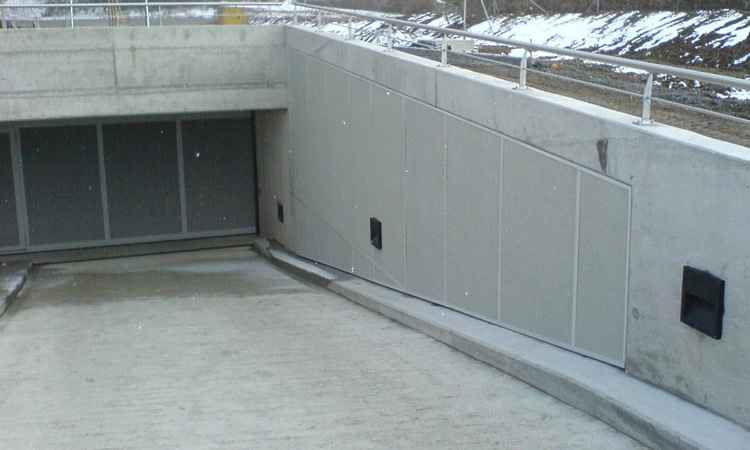 All materials are ecological, fireproof, water-repellent. 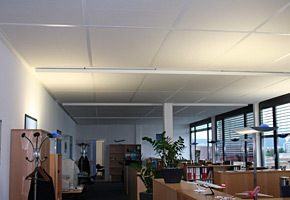 Office area: acoustic constant improvement. 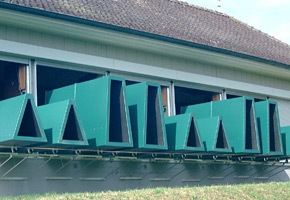 Polygon shooting range silencers. 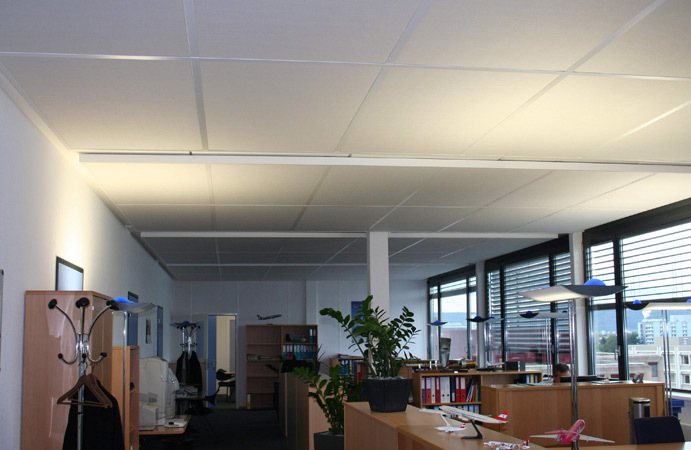 Office area: noise absorbing false ceiling. 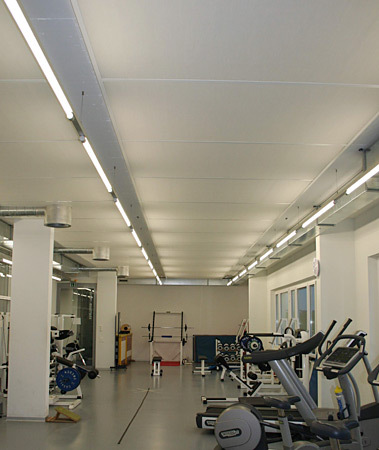 Gym ceiling soundproofing intervention. 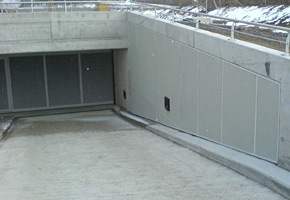 Garage area: reverberation removal intervention. 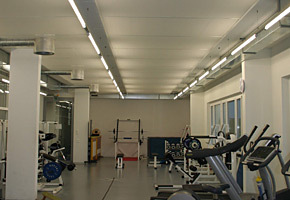 Fitness hall: environment improvement intervention. 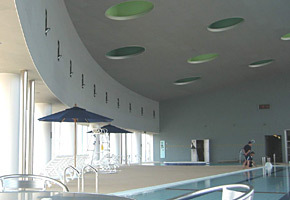 Swimming pool: environment improvement intervention. 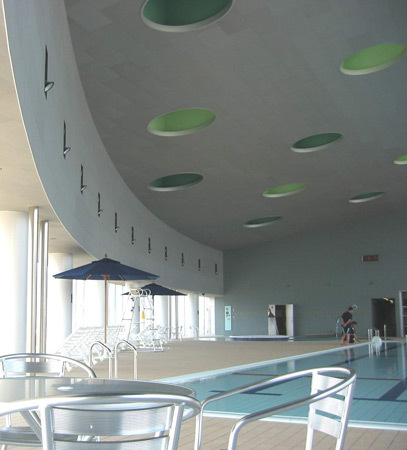 Indoor sports arena: external façade intervention. 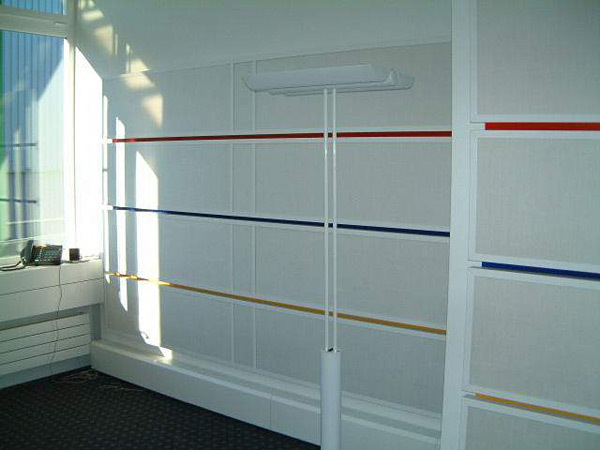 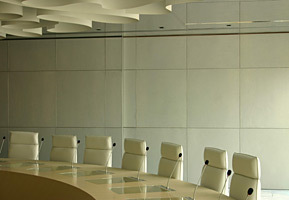 Conference hall: noise absorbing panelling.